Here’s a list of selected publications and recent presentations. Some are available as PDF for download or directly on the web, others may be available by contacting me at: per.storemyr@hotmail.com. Storemyr, P. (2019): Chert extraction: Documentation and fire-setting experiments. In: Niemi, A.R. (ed. ), Chertbruddet i Melsvik. Undersøkelse av chertbrudd, utvinningsteknologi og bosetningsspor fra tidlig eldre steinalder i Melsvik, Alta, Finnmark. Tromura, Tromsø museums rapportserie, 50, 126-153. Available at Tromsø University’s website. Storemyr, P. (2018, published 2019): Baker Memorial Lecture 2017: Nidaros – The Portland cement cathedral. The Journal of the Building Limes Forum, 25, 22-27. PDF (with permission of the Building Limes Forum). See all Baker Memorial Lectures here. Hansen, G. & Storemyr, P. (2017): Soapstone in the North: Quarries, Products and People. 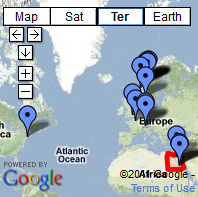 7000 BC – AD 1700. Official book presentation, University of Bergen, 6 October 2017. (Book published as part of the UBAS University of Bergen Archaeological Series, 9, 408 p. Open-access, read the whole book at my academia.edu page). See review: Ny bok publiserer banebrytende metoder [New book with ground-breaking methods]. Invitation to the book presentation here. *Hansen, G. & Storemyr, P. (2017): A Versatile Resource – The Procurement and Use of Soapstone in Norway and The North Atlantic Region. In: Hansen, G. & Storemyr, P. (eds. ), Soapstone in the North: Quarries, Products and People. 7000 BC – AD 1700. UBAS University of Bergen Archaeological Series, 9, 9-28. Open-access, read paper at my academia.edu page. *Storemyr, P. & Heldal, T. (2017): Reconstructing a Medieval Underground Soapstone Quarry: Bakkaunet in Trondheim in an International Perspective. In: Hansen, G. & Storemyr, P. (eds. 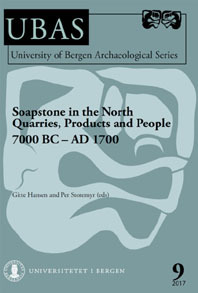 ), Soapstone in the North: Quarries, Products and People. 7000 BC – AD 1700. UBAS University of Bergen Archaeological Series, 9, 107-130. Open-access, read paper at my academia.edu page. Storemyr, P. (2017): Experimental archaeology: Building a limekiln in Western Norway. The Journal of the Building Limes Forum, 24, 22-27. Read at my academia.edu page. Storemyr, P. (2017): Madammen som rodde langs sørlandskysten og startet et mineraleventyr på 1700-tallet. Foredrag, seminar, Vet du hva som er i bunnen i grunnen? Gea Norvegica Geopark, Porselens museet og Kunsthall Grenland, Porsgrunn 13.9. Foredrag basert på denne bloggposten min. Storemyr, P. (2017): Nidaros: The Portland Cement Cathedral. Baker Memorial Lecture, delivered at “Rediscovering Traditional Mortars”, International Conference, at the Restoration Workshop of Nidaros Cathedral, Trondheim, Norway, 7-10 September 2017. Read the lecture here. Storemyr, P. (2017): Experimental Lime Burning in a Freshly Built “Classic” Intermittent Lime Kiln at Hyllestad, Western Norway. Presentation at “Rediscovering Traditional Mortars”, International Conference, at the Restoration Workshop of Nidaros Cathedral, Trondheim, Norway, 7-10 September 2017. Presentation entirely based on this blog post of mine. Storemyr, P. (2017): Gamle og nye skader på Utsteins vestportal: Fra «Den lille istid» til i dag. Norges mest autentiske portal? Presentation, Nasjonalt seminar om restaurering av steinportaler, Stavanger and Utstein, 14-15 February [Old and new damages at Utstein monastery’s west portal. From «The Little Ice-Age onward. Norway’s most authentic portal?]. Download presentation (PDF). More information about the conference: Programme. Brief report. See video. Storemyr, P. (2017): En portal er en del av bygningen! Fra skadeforståelse til konserveringsplan. Eller: Forvitringshistorie. Presentation, Nasjonalt seminar om restaurering av steinportaler, Stavanger and Utstein, 14-15 February [A portal is part of the building! Understanding damages and conservation. Or: Weathering history]. Download presentation (PDF). More information about the conference: Programme. Brief report. See video. Storemyr, P. & Niemi, A.R. (2017): Fyrsetting i steinalderen! Eksperimentell produksjon av chert i det mesolittiske bruddet ved Melsvik i Finnmark. Presentation, Steinalderkonferansen 2017, Kyst og samfunn – forskning og forvaltning. Bergen 21-23 March [Firesetting in the Stone Age! Experimental production of chert in the Mesolithic quarry at Melsvik in Finnmark]. Download presentation (PDF). More information about the conference. *Storemyr, P. (2016): Norges mest komplette sandsteinskirke: Stein og steinbrudd til Værnes kirke i Middelalderen. In: Stige, M. & Pettersson, K. E. (eds. ), Værnes kirke – en kulturskatt i stein og tre. Stjørdal historielag, Stjørdal, 198-218. [Værnes Medieval Church: Norway’s most complete sandstone church]. Read paper at my academia.edu page. More info at my website. 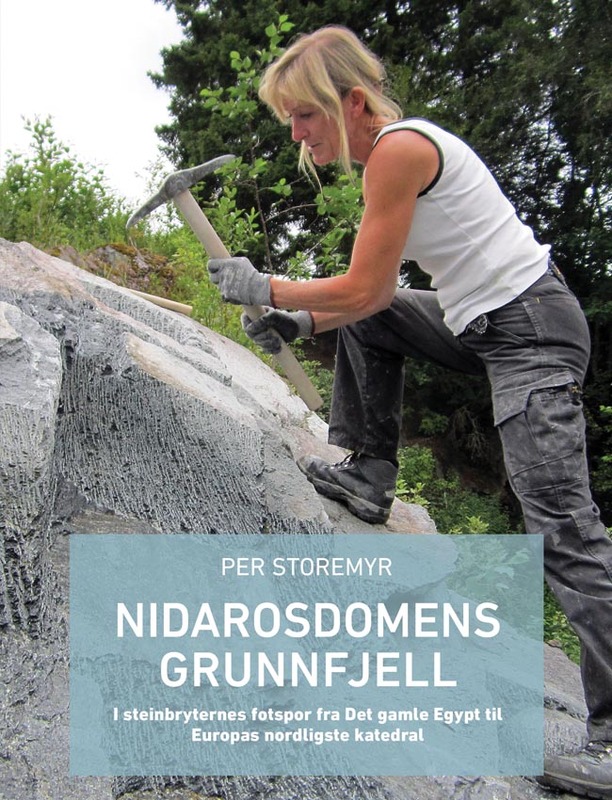 *Storemyr, P. (2015): Nidarosdomens grunnfjell. En reise i steinbryternes fotspor fra Det gamle Egypt til Europas nordligste katedral. Nidaros Domkirkes Restaureringsarbeiders Forlag, Trondheim, 412 s. [The quarries of Nidaros: A journey in stone from Ancient Egypt to Europe’s northernmost medieval cathedral] Kjøp boken her. Utdrag på min academia.edu-side. Mer info og flere omtaler på bloggen min. *Storemyr, P. (2014): Lokal marmor som byggestein i Gildeskål middelalderkirke. In: Stige, M. & Ekroll, Ø. (eds. ), Gildeskål gamle kirke: marmorkirka ved nordvegen, Bergen: Fagbokforlaget, 127-150. [Local marble as building stone in Gildeskål medieval church, Norway] Download PDF. View at my academia.edu site. 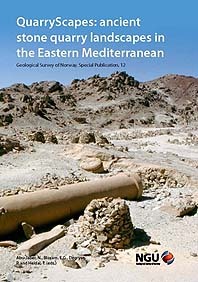 *Storemyr, P. (2014): A prehistoric grinding stone quarry in the Egyptian Sahara. In: Selsing, L. (ed. ), Seen through a millstone. AmS-Skrifter 24 (Stavanger: Museum of Archaeology, University of Stavanger), 67-82. PDF at Academia.edu. More info about the volume here. Storemyr, P. (1997): The Stones of Nidaros. An Applied Weathering Study of Europe’s Northernmost Medieval Cathedral. Ph.d-thesis, no. 1997:92, Norwegian University of Science and Technology, Trondheim. Download PDF (19,1 MB).